David Obadia PUMA Crack CC Maroon is going to be hard to catch before it flies if you’re still not ready for it! It takes the hat off for the vintage Crack silo and gets a make-over from Harmony Paris’ David Obadia. The colourway is bright and perfect for the Fall days! The dark maroon is sassier than the devil! 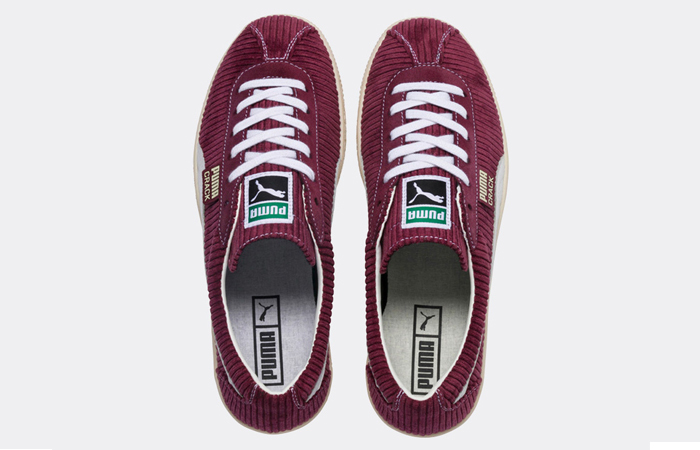 The suede-style corduroy upper and crisp leather overlays make the best team ever! It’s primarily designed and engineered to meet the demands of swift runners and athletes. The bouncy, cushioned midsole and the stretchy upper keep your strides confident and safe. Stun the gawkers with its devilish maroon shade and the smart accents from soothing white! Follow @FastSoleUK for more. 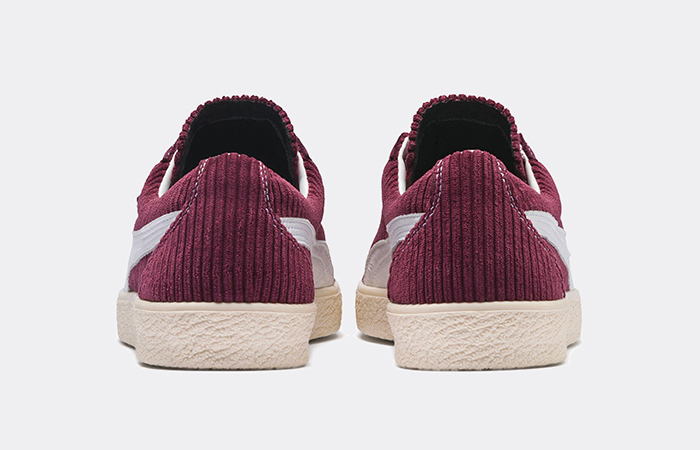 A soft corduroy-like suede crafts the entire upper of this Co-creative kick to keep you warm and safe. 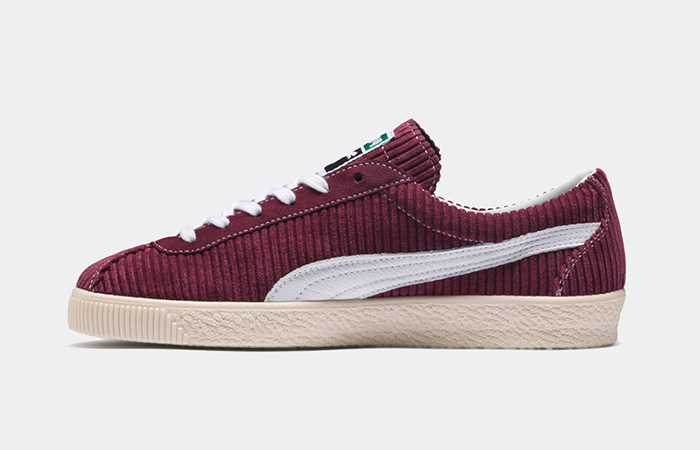 The vivid maroon upper body gets hits from white leather Formstrip, laces, and a textured midsole. 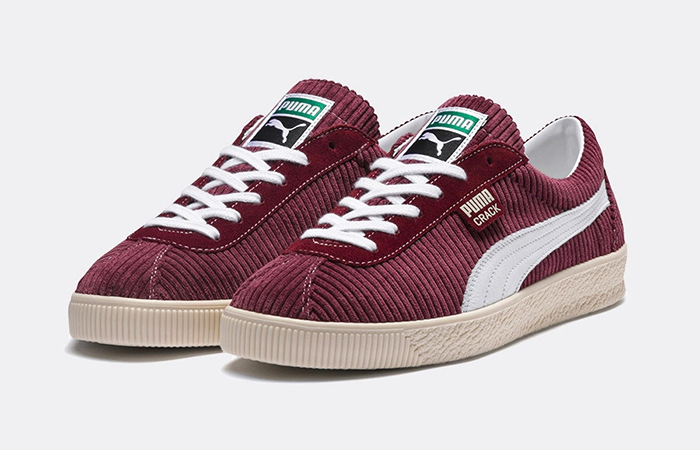 A tiny Puma Crack branding tag hangs on the tonal suede eyelet. 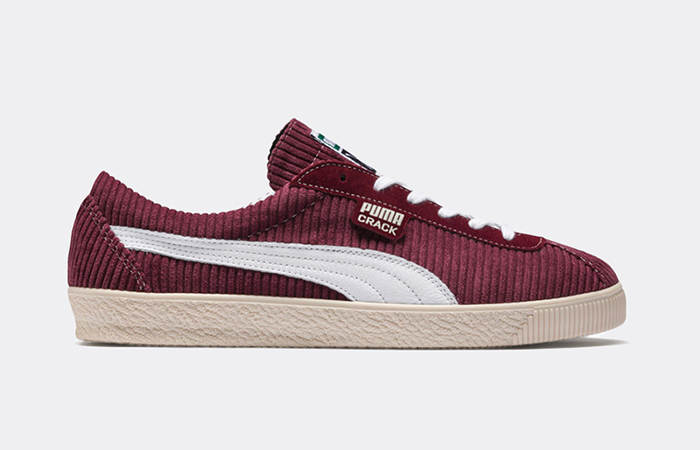 David Obadia PUMA Crack CC Maroon releases February 11th via listed UK and European retailers.